Descend into shadowy cities, grotesque rituals, chaotic festivals, and deadly cults. Plunge into terrifying domains, where bodies are remade into surreal monstrosities, where the desperate rage against brutal tyrants. Where everything is lethal and no one is innocent, where Peake began and Lovecraft left offÃÂthis is where you will find the New Weird. Edgy, urban fiction with a visceral immediacy, the New Weird has descended from classic fantasy and dime-store pulp novels, from horror and detective comics, from thrillers and noir. All grown-up, it emerges from the chrysalis of nostalgia as newly literate, shocking, and utterly innovative. 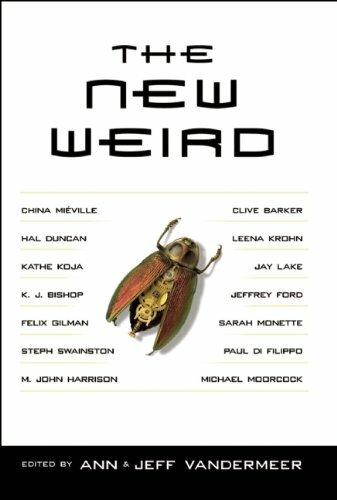 Here is the very best of the New Weird from some of its greatest practitioners. This canonic anthology collects the original online debates first defining the New Weird and critical writings from international editors, culminating in a ground-breaking round-robin piece, ÃÂFestival Lives,Ã¢ÂÂ which features some of the hottest new names in New Weird fiction. About: Descend into shadowy cities, grotesque rituals, chaotic festivals, and deadly cults.